Snails. To most of us they are slimy pests that devour our blooms and make our stomachs turn. For Mike Collins, however, they are an obsession. 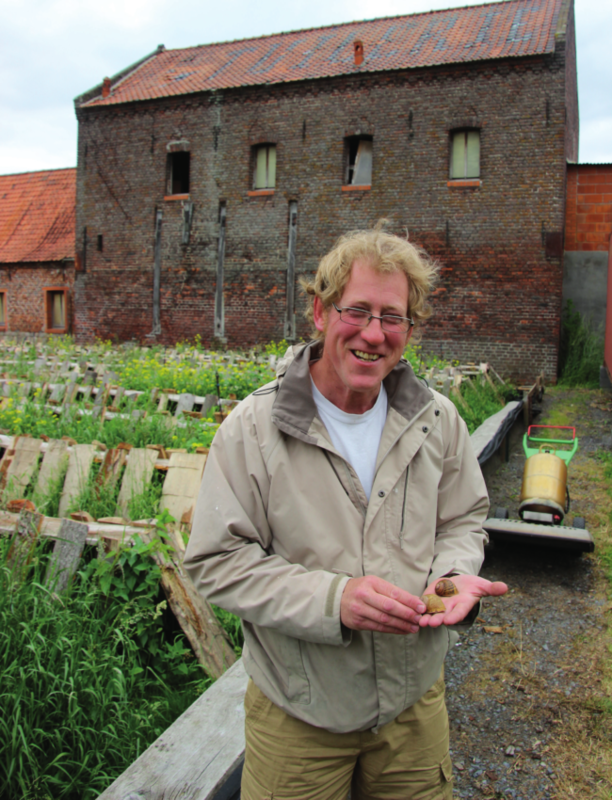 This former language student visited a snail farm on his travels through France – and was hooked. 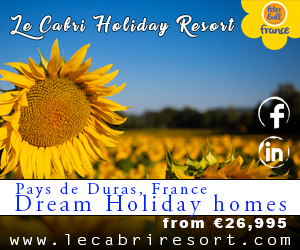 Now he runs a successful business in Nord, Hauts-de-France, providing top restaurants with escargots. How did he do it and what are the amazing properties that this humble gastropod holds? 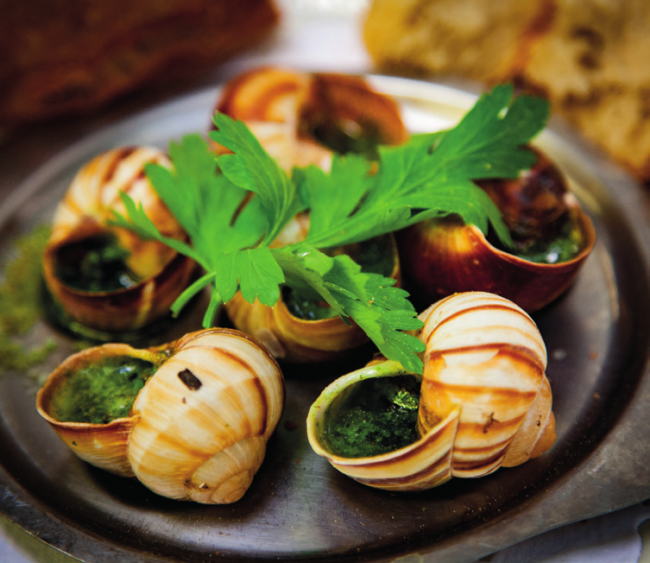 Snails are a much-loved food in France, where more than 30,000 tons are consumed annually. During his first farm visit, Mike tried a simple dish of escargots in a classic garlic sauce. He thought they “had no personality”, but believed they could be wonderful. The seeds were sown and he began to plan how to create a snail farm of his own. When he visited the local mayor to tell him about his idea, “he thought I was a lunatic, but he was courteous about it,” he laughs. Undeterred, Mike vowed that when he had made his dream a success, he would place an ornamental snail on the roundabout outside the farm, much to the amusement of the mayor. 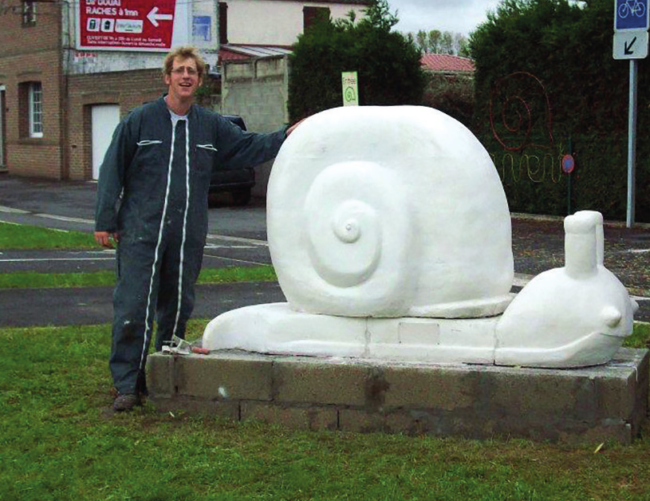 Go there today, and you can’t miss the 2.5-metre-long snail statue! Top of Mike’s list was to create a ‘park’ in his huge back garden, an enclosure for the snails to have plenty of room to develop. 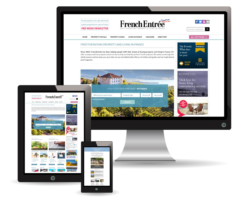 To start the business required a minimal amount of investment, but a lot of time. Mike had to take courses, sit exams, establish the right growing conditions, plus create kitchen and preparation spaces. “Determination and stubbornness” are, he says, what got him through. He decided to farm “tasty, meaty” big grey snails, gros-gris (helix aspersa maxima) and grows around 350,000 a year on wooden posts. Along with petit-gris (helix aspersa aspersa), they are the only two species farmed in France. The famous Burgundy snail dies in captivity and though you’ll often see them called that in shops and restaurants, they’re mostly snails picked in Eastern Europe, not Burgundy. “Less than five per cent of the snails eaten in France are actually grown in France,” says Mike. The snails stay in their enclosure, mostly (although sometimes they escape), thanks to black soap, a natural repellent – rather than an electric fence, as some farms have. His ethos is to be organic and ethical and he uses no chemicals or pesticides at all. 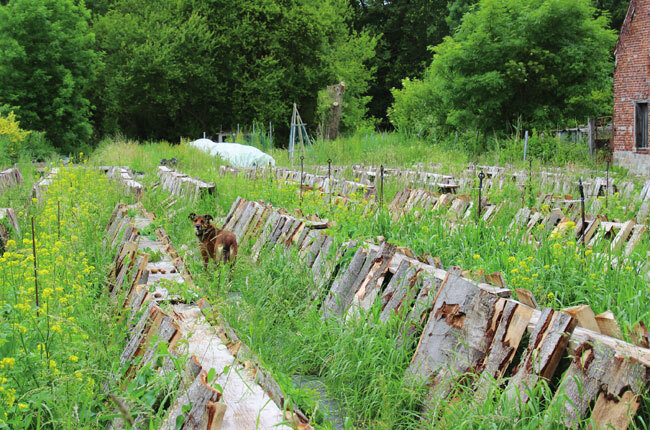 His dog Wanda bounces along the rows between posts: “She’s making sure there are no unwanted visitors,” he says. “She’s been trained to do that and is very careful with the snails.” The dog is assisted by trained ferrets and they’re very effective, disposing of unwanted rodents and birds. The snails are harvested in autumn and killed by being dipped in boiling water. “It’s immediate,” says Mike. The meat is separated from the shells and blanched, then it’s rapidly chilled or goes into dishes, which are frozen. “It’s the best way to retain the nutritional value and the taste.” The shells are scrupulously cleaned and used for presentation. “In theory, we can keep the meat for up to 18 months,” says Mike. “But that never happens. We always sell everything well before that.” It’s not the same everywhere, he tells me. 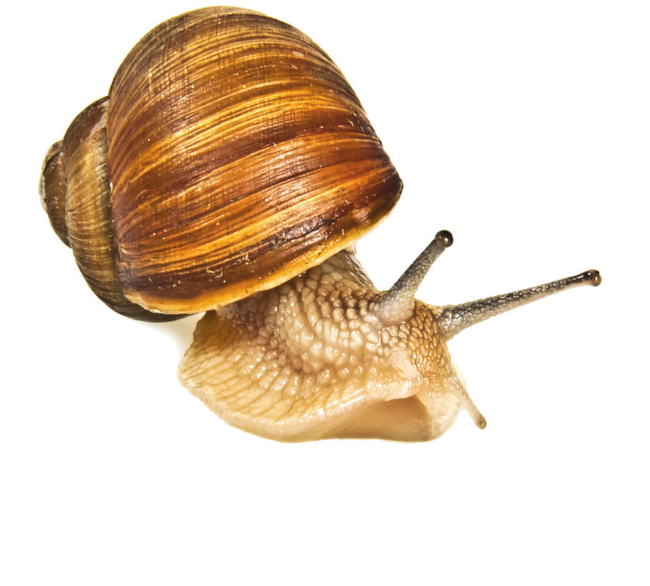 Snail products may be kept for up to nine years by freezing, re-cooking, tinning, adding ingredients and repackaging. Mike’s ferme à escargots rapidly gained a reputation for tasty snails. Locals flocked to the fledgling farm; maybe, at first, for the novelty factor. “French people say it’s crazy that a Brit is growing snails in France,” he grins. Over the years, Mike has perfected 29 dishes, including the enduring classic snails in garlic butter, a recipe he adapted from one created by the great French chef Marie-Antoine Carême, who served snails that way to Tsar Alexander I in 1814. Mike’s snail sausages, smoked snails with goats’ cheese and fig, snails with Roquefort and walnut butter in a wafer case and his Tikka Masala snails, plus snails on skewers for the barbecue are some of the most popular dishes. His reputation and clientele have grown and the little shop at the farm has daily queues. One day, Mike recalls, a new customer arrived. “He didn’t introduce himself, I had no idea who he was.” The customer bought a few snails and left, returning a short while later to place an order for 3,000. Flabbergasted, Mike asked him why he bought so many and discovered his client was illustrious chef Steven Ramon of the acclaimed Rouge Barr restaurant in Lille. 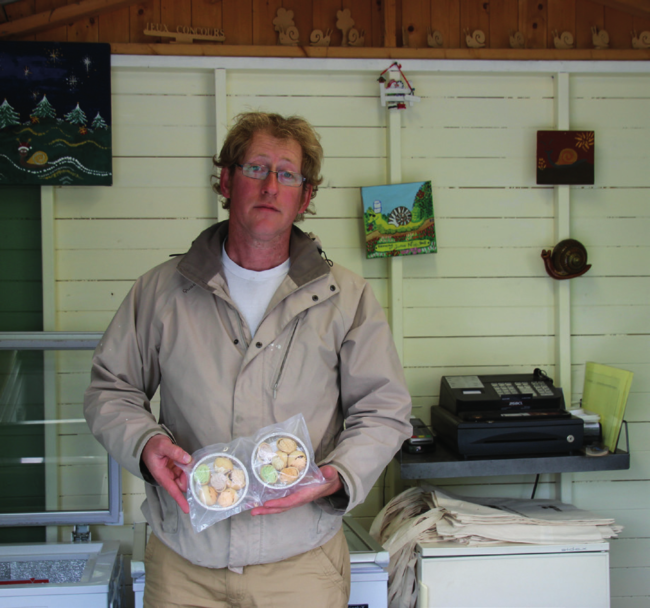 Mike now supplies many eateries and some of the top chefs in France with his snails. All the work at the farm is done by hand, from harvesting to cleaning and the preparation of the dishes. Mike does everything himself, but has help from students at busy times of the year. They gain valuable work experience for careers in the catering industry. METHOD: Preheat the oven to 180°C/350°F/Gas Mark 4. Remove the snails from their shells. Chop the parsley and tarragon finely, then combine with all the other ingredients (except the snails) in a bowl to make a thick paste. Place a small spoonful of this mixture into each shell. Return the snails to their shells, then add another spoonful of the butter mixture on the top. Bake in the oven for 10-15 minutes in a baking dish. Serve immediately with a crusty baguette to mop up the excess butter. TIP If you don’t have a snail-serving dish (only a dedicated escargot fan would), use butter to ‘glue’ the snails to the plate. Mike is a walking encyclopedia of snail facts and tells me that gastropods have been consumed by man since the first days of humanity. Until the 14th century, some people believed snails were in league with the devil “because they had no legs and were close to the ground”. The Church forbade the eating of them and they became the food of the poorest in France, along with frogs’ legs. When famine struck, the church relented, but insisted that the snail be “purged of its sins”. They decided the way to do this was to make the snail ‘spit’, which was done by sprinkling salt, which causes the snail to create mucus, a defence mechanism. 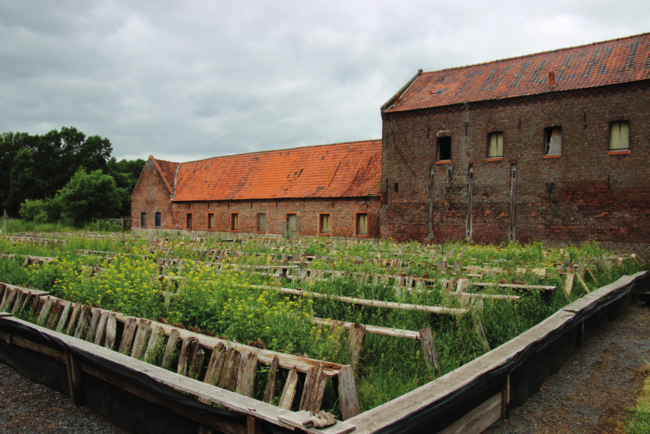 Though a sustainable resource, it wasn’t until the early 20th century that farming snails in France became automated. The industry is now regulated. Farming of snails during certain months of the year is forbidden and in 1979, a law was brought in to protect the species. These days, that snail spit has a high value – it’s used in medicine and predominantly in cough mixture. There are just three ingredients in it, says Mike: water, calcium and basic animal molecule products. “It’s not really slimy at all,” he says, wiping a snail across my knuckles and telling me to rub my hands together. He’s right, my skin is left feeling peachy soft, clean and dry. “It’s pure protein,” Mike assures me. No wonder cosmetic companies are investigating snail juice in the making of skin cream. “Our ancestors would rub snails on wounds to heal themselves… and if they had a cough, licked one,” he urges and offers me a large snail, which I decline as politely as possible. He passes its undercarriage over his tongue and it immediately produces spit. “It’s really not that bad,” he says. I’m not won over.